Perfectly attuned, the Violin PowerTilt Spa & Massage Treatment Table offers the allure of fine furniture with fully-motorized massage table functionality. The Violin’s distinction is the wood-veneer frame supporting the sumptuous, four-piece spa treatment table top, which smoothly lifts off the base to raise/ lower 375 lbs. Treat your senses. Shown with optional accessories. 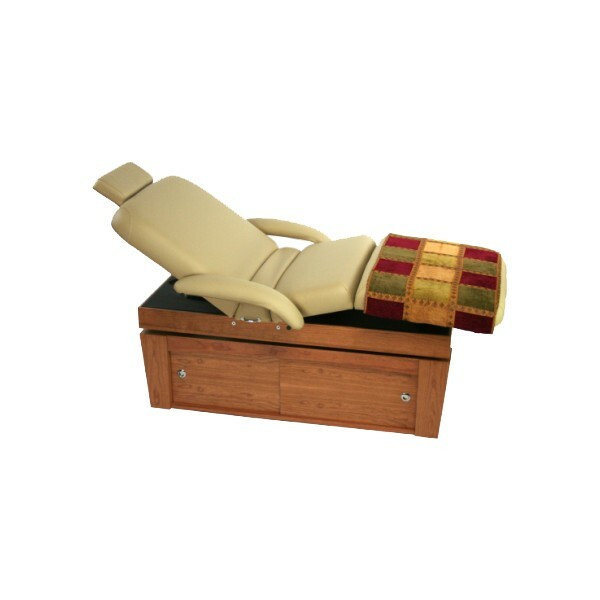 Height range 24.5" - 34.5" Top size 30" x 73" Wood veneer frame and sliding cabinet All electric with hand control Back raises to 60° Lift capacity 375 lbs. Table weight 270 lbs.